Trina brings nearly 20 years of optical experience to managing our office. 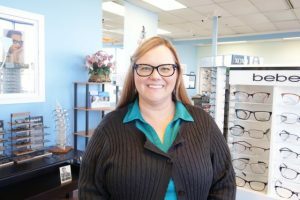 She has worked in many areas of the optical industry including the front desk, patient care, ordering glasses and contacts as well as insurance billing before joining Cascade Pacific Eyecare in 2010. Angela brings her enthusiasm to our optometric technical staff. She worked at an optical in 1995 and came to Cascade Pacific Eyecare in 2012 after a career as a Chemical Dependency Professional. Reyna is a bright and cheerful optometric assistant. 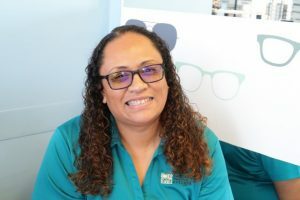 Since joining Cascade Pacific Eyecare in 2012, she has quickly learned many areas and can be seen helping out at the front desk, in the insurance office and in the optical. She is a student at Tacoma Community College and is fluent in Spanish and English. Joanne is an experienced insurance biller as well as medical transcriptionist who joined Cascade Pacific Eyecare in 2013. Joanne is also the unofficial decorator-in-chief! She can be seen around the office decorating for all of the seasons, adding a bright and pretty look.